Thank you for taking the time to visit our Lake Tahoe vacation rental property management site, where you can find many services to minimize the effort required to successfully rent your Lake Tahoe vacation home, as well as ensure your guests have a stress free vacation. From customized A-La-Carte Management for the Rent-By-Owner (RBO) clients to Full Service Vacation Rental Management, we are a one stop shop for all vacation homeowner needs in South Lake Tahoe and North Lake Tahoe. Vacation Rental Assistance (VRA) is the creator of VRA Care, a complete property operation solution for Rent By Owner clients. Email us to request a free quote or to ask us any questions! Lake Tahoe Vacation Rental Assistance’s goal is to offer a cost effective and streamlined solution to managing your Lake Tahoe vacation rental the way you want, delivering affordable, personalized service and care. 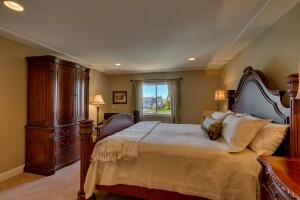 Our customizable services, dedication to quality, reliability and trustworthiness make us the best choice for all of your Lake Tahoe vacation rental service needs. Lake Tahoe is one of the best vacation rental markets in the country to own a vacation rental because the thriving tourist industry in both summer and winter. Few places have two explosive peak tourist seasons like Lake Tahoe does. Couple that with our affordable Lake Tahoe vacation rental services, and you have the perfect combination for potentially cost effective vacation rental real estate investment. 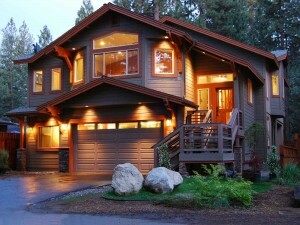 For current vacation homeowners and new home buyers looking to maximize cost efficiency, we have a favorably designed 4 service A-La-Carte Management Program including affordable Lake Tahoe cleaning services, hot tub services, inspection services, and 24/7 on call and field response services to compliment your reservation efforts. The homeowner books the house, we handle the rest – it’s a perfect relationship, and together, we can manage your home for around 10%! For the homeowners wanting a hands-free solution, we can also deliver a comprehensive, all inclusive Full Service Management Solution for around 25% to 30%. For more details about services to match your specific needs, to learn more about our company, or to contact us please click on the appropriate links above to discover how Lake Tahoe Vacation Rental Assistance can bring you peace of mind. Thanks again for visiting our site – we look forward to serving you in any way we can!